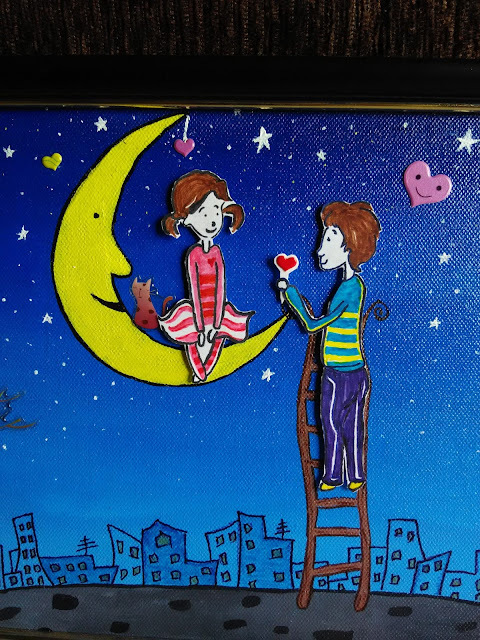 And here is my new mix media painting, I call it "Moonlight Love". I have used very less media elements, but this really looks very beautiful and based on creative idea. 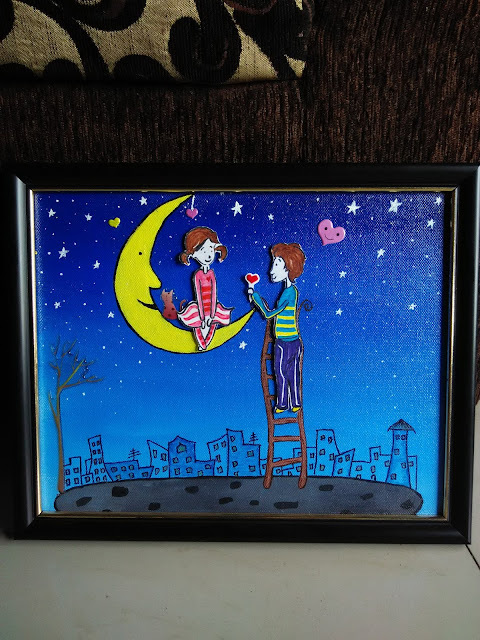 I really enjoyed making this painting. This picture portray a boy proposing girl sitting on moon. 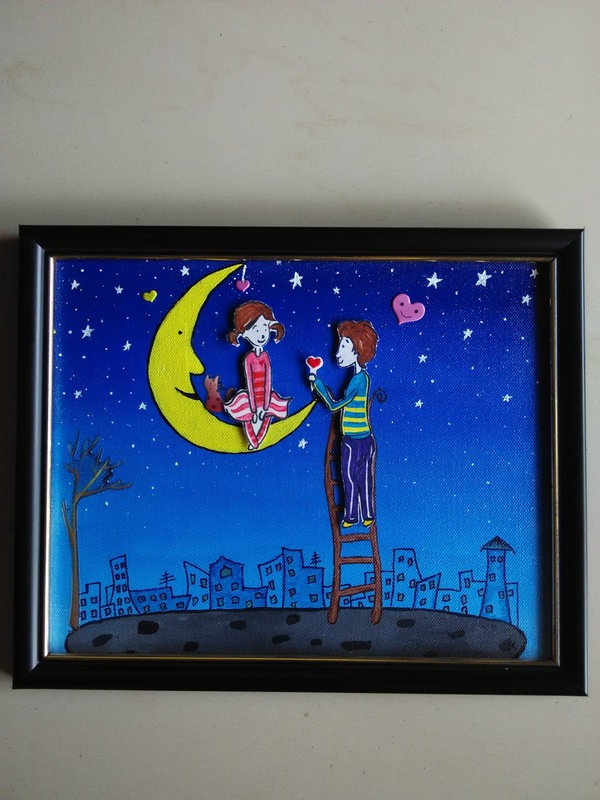 Blue background with moonlight effect with lots of stars makes this picture a very romantic gift for your partner. Boy and Girl gives 3D effect because its created separately on different paper. I have done it with sketch pen first and then its added to main canvas board. This unique idea makes it feel like a 3D painting.